The BDS movement is building an economic boycott of Israel and developing effective campaigns against companies that participate in Israel’s oppression of Palestinians. International companies aid and abet Israel’s violations of international law, including by operating in illegal Israeli settlements and acting as contractors for the Israeli military and government. Campaigning has led to major companies such as Veolia and Orange selling up and leaving Israel altogether and a range of investors divesting from Israeli and international companies. The UN, the World Bank and other experts say that BDS is having an important economic impact on Israel and that this could well grow as the movement develops. The economic boycott of Israel aims to put pressure on Israel to comply with international law and to persuade private companies to end their participation in Israel’s crimes. The Israeli economy is especially dependent on international trade and investment, making it especially susceptible to international economic boycotts. Many international companies such as G4S and HP profit from helping Israel to maintain its system of apartheid and settler colonialism. Campaigns against and divestment from international companies increases the pressure on them to end their complicity with Israel’s oppression of Palestinians. Business as usual economic relations with Israel gives it a green light for further violations of international law. They also provide the government with tax revenue it uses to maintain its oppression of Palestinians. The Israeli economy is especially dependent on international trade and investment, making it especially susceptible to international economic boycotts. The BDS movement calls for a boycott of all Israeli products as a way of building economic pressure on Israel. To maximise our impact, we focus our efforts on a small number of companies and products that are closely linked to Israeli violations of international law. Check out our What to boycott page for more information. Many Israeli companies play a direct role in Israel’s violations of international law, meaning that any business relationship with them is a form of direct support for Israel’s oppression of Palestinians. 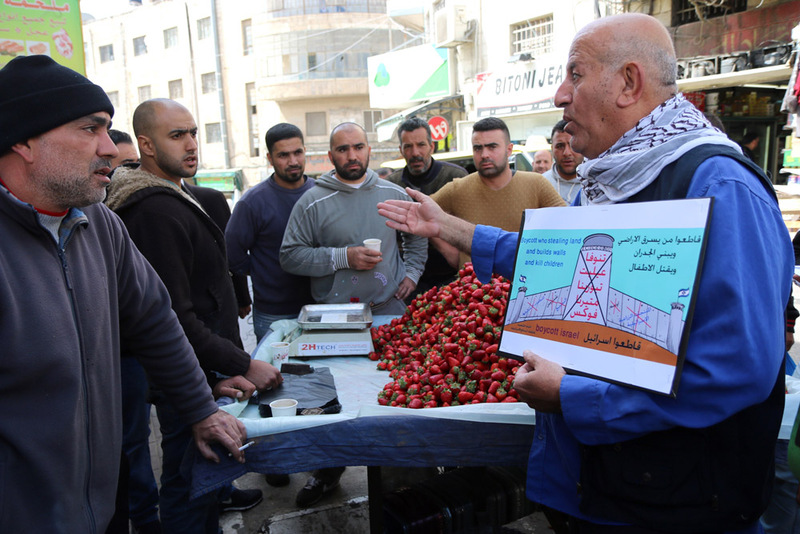 For example, Israeli fresh produce exporters such as Mehadrin and Hadiklaim take part in the theft of Palestinian land. Therefore, any purchases of their products helps fund Israel’s forced displacement of Palestinians. As well as asking consumers not to buy these products, we successfully campaign for retailers to stop selling them. International corporations play a key role in enabling Israel’s regime of apartheid and settler colonialism. They provide the equipment, services and infrastructure that helps Israel to oppress Palestinians. G4S - provides security services and equipment to the Israeli government and military, including to prisons where Palestinian political prisoners are held and subjected to torture. Hewlett Packard - provides the systems that run the ID card system that Israel uses to restrict Palestinian movement. 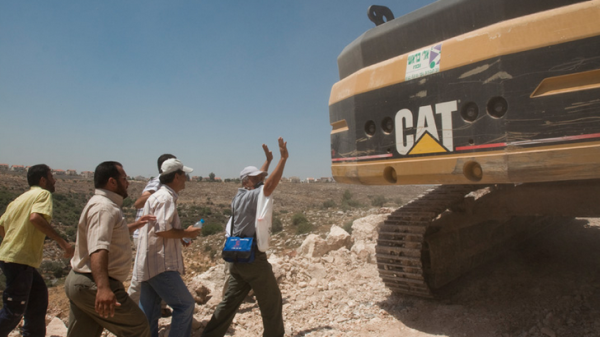 Caterpillar - provides armoured bulldozers and other equipment used to demolish Palestinian homes. BDS campaigning against international companies can have a real impact. Major European companies Veolia, Orange and CRH have all exited the Israeli market after high profile campaigns over their participation in Israel’s crimes. Divestment is the opposite of investment and means ending investment in a particular company. Divestment from Israeli companies by private banks and bodies such as public pension funds and churches puts economic pressure on Israel to comply with international law. Divestment from international companies pushes them to end their complicity. European banks and pension funds divesting from Veolia played a major role in persuading the company to exit the Israeli market and ending its role in infrastructure projects that served illegal settlements. A number of major European banks and investors have recently started to divest from Israeli banks because of the vital role they play in financing illegal Israeli settlements and Israel’s occupation of Palestinian territory. Grassroots BDS campaigning is leading to major companies and investors changing their attitudes towards Israel and its oppression of Palestinians. According to the authors of a UN report, BDS was a key factor behind at 46% drop in foreign direct investment into Israel in 2014 compared to 2013. 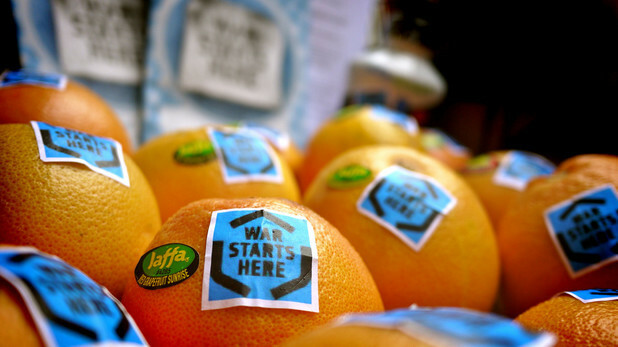 The World Bank partially attributed a 24% drop in Palestinian imports from Israel to boycott. Reports by the Israeli government and the Rand Corporation have predicted that BDS could cost the Israeli economy billions of dollars. Major European companies Veolia, Orange and CRH have all exited the Israeli market after high profile campaigns over their complicity with Israeli violations. Veolia sold its businesses in Israel and ended its role in infrastructure projects for illegal Israeli settlements after boycott campaigners persuaded local councils to drop Veolia from public contracts worth at least $20bn. Institutional investors including the Presbyterian Church USA and the United Methodist Church (UMC), the Dutch pension fund PGGM and the Norwegian, Luxembourg and New Zealand governments have divested from companies over their role in Israeli violations of international law. 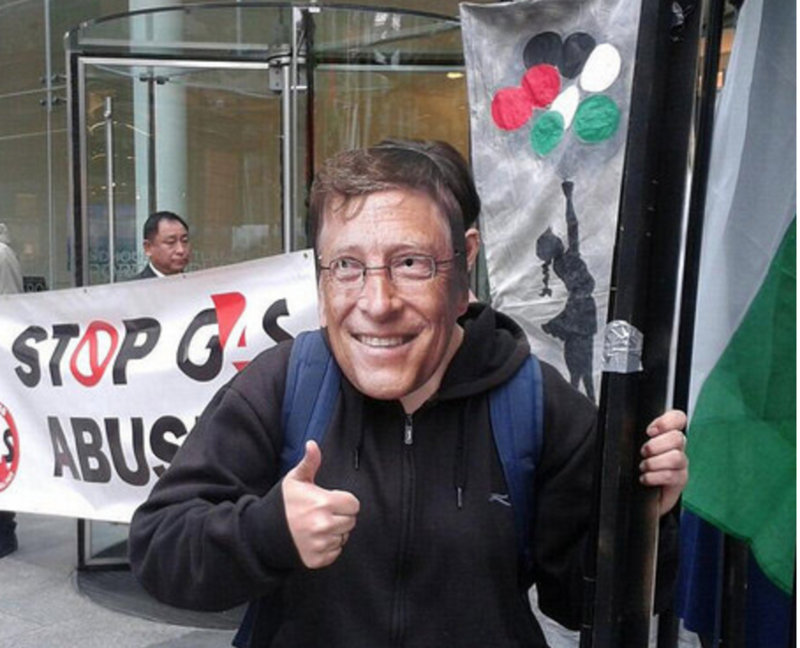 Major European private banks including Nordea and Danske Bank and wealthy individuals including George Soros and Bill Gates have also divested from BDS targets. Creative and energetic campaigning against the corporate criminals that aid and abet Israeli apartheid is a key part of the BDS movement. Major companies such as Orange and Veolia have been persuaded to exit the Israeli market and BDS is having a real economic impact. Get involved today! We’ve having a massive impact on some of the companies that contribute to Israel’s oppression of Palestinians. Share this page to help spread the word! There are organisations working on BDS campaigns all across the world. Get active and connect with a group in your country now! Targeted consumer boycotts are convincing retailers across the world to stop selling products from companies profiting from Israel’s crimes. Many Israeli exporters complain that it is getting harder for them to export their products. The Who Profits website and the Investigate website both provide detailed information about companies involved in Israel’s regime of apartheid and settler-colonialism. You can use the Who Profits website to search for complicit companies operating or headquartered in your country. Palestinian BDS National Committee and its network of partners across the world run international campaigns against some of the biggest corporate abusers of Palestinian rights. Head over to our Campaigns Hub to find out about our active campaigns and how you can get involved. Many of the complicit companies targeted by the BDS movement have extensive global operations. For example, G4S - targeted over its role in Israel’s prison system - provides security services to local governments, universities and other public bodies across the world. This provides us with an opportunity to build strong local grassroots campaigns. 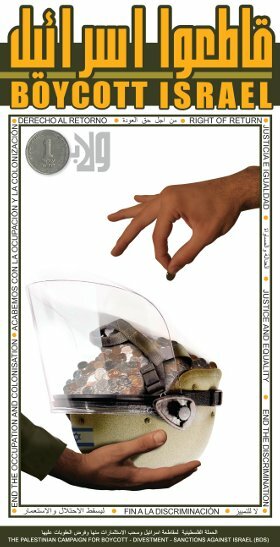 Virtually all banks and pension funds are invested in Israeli companies and international companies that are complicit in Israeli apartheid and settler-colonialism. Get in touch with your bank or pension fund and ask them about which companies they are invested in. Many bodies that should be accountable to us such as universities, governments, and local municipalities invest in Israel and complicit international companies. People who have their own private investments can use the Who Profits website and the Investigate websitewebsite to see if they are invested in any companies targeted by the BDS movement. Sell your shares in all Israeli companies and international companies that participate in Israel’s crimes.